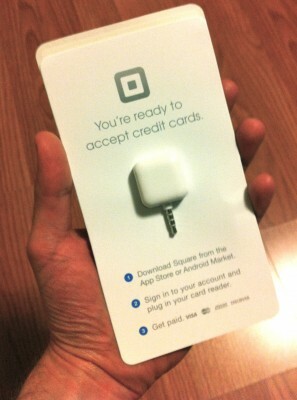 I received my free card reader from Square a couple of weeks ago. It’s a little doohickey that plugs into the headphone jack of my iPhone or iPad. Then, using their app, you swipe your credit card and can make payments, which get deposited into my bank account. So part 1 of my business plan is firmly in place. Now for part 2: What am I going to sell? Vende entradas a las quinielas del fucho (ya sé, no estamos ahi para darte la tarjeta, pero igual suena bonito).